CCM Super Tacks 9080 Senior Hockey Stick | Sports Etc. KICK POINT: Optimized Mid Kick Point for a for a longer loading period which increases the energy stored, while the stiff taper maximizes stability. SHAFT TECHNOLOGY: X-Flow Technology: An optimized molding technology which allows for better compaction of the fibers: increased durability and lighter weight. BLADE: The ACU2 Blade is a unique layup which allows us to have a light blade while maintaining its stiffness for a more accurate shot. MATERIAL: C6 Weave on the blade and on shaft provides great all around stiffness and strength for added durability on the shaft and blade. INTERMEDIATE GEOMETRY: Designed with the help of Elite women’s hockey players and a cross-section of youth players, rounded corners and concave sides for better control and comfort . The new CCM Super Tacks 9080 hockey stick pushes the boundaries of performance and has become the new standard for Mid-Kick point sticks. The stiffness profile has been optimized for a longer loading period, while also providing great stability and control. Not only can players benefit from a great loading stick, it also feels better than ever. The new X-Flow technology allows for a 10g weight reduction while improving compaction for better durability. Sports Etc Performance To Value Rating- 9 out of 10- Performance stick at a reasonable price. 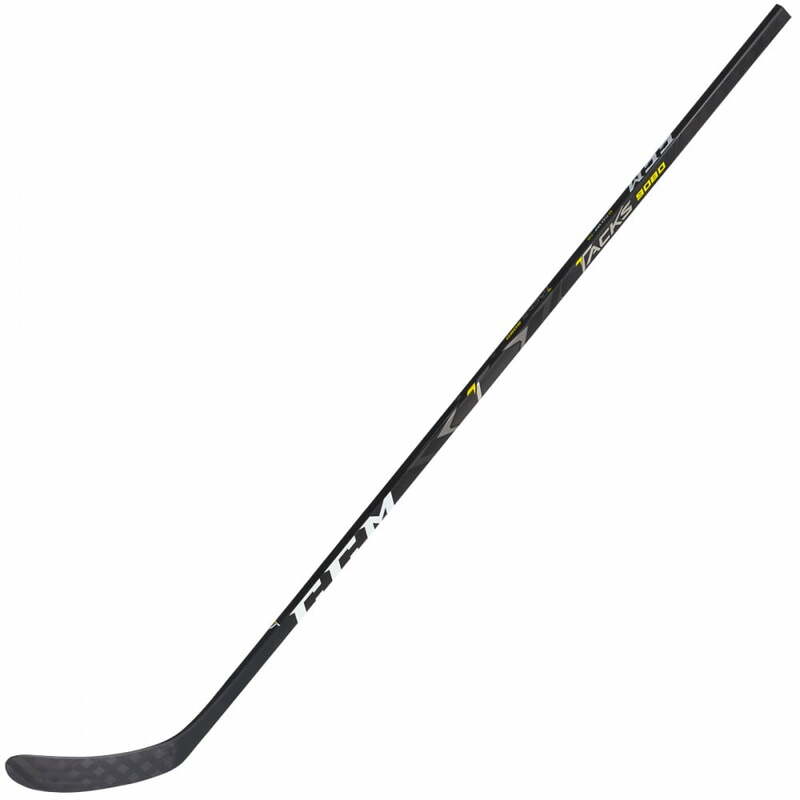 One of the better value composite hockey sticks on the market today.